As a healthcare business owner, you will have had to have taken out many different insurances to protect you against a number of possible problems, such as patient claims of malpractice or misdiagnosis on your part. Taking out such coverage is always an essential thing to do, as you never know what trouble may befall you when you work so closely with your customers and provide them with a service that impacts something as important as their health. When you take out insurances to cover your healthcare business, however, you have to be performing regular and accurate medical claims audits, as doing that is the only way to stop yourself from overpaying. When it comes to performing such an audit, you need good math skills and knowledge of how to go about claims processing, and you also need to take the advice below. When you audit medical claims without calculating your charges accordingly, you will find yourself wasting your time, efforts and even your money in the long run. 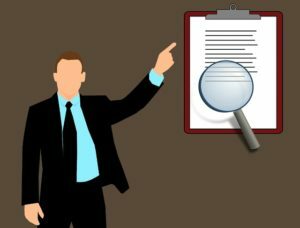 To calculate accordingly, you have to take the size of your operation into account — if your business is relatively small, then an audit process focusing only on verifying payment accuracy should be what you turn to; if your business processes much larger and far more complex claims, then you should conduct focused process reviews instead. As you audit your medical claims, you have to seek to uncover all discrepancies that have lead to instances of over payment on your part or may lead to them in the future. This means checking for payments that have been duplicated and ensuring that you haven’t paid for an uncovered or unfulfilled service. If you haven’t the time or the resources to audit all of the claims made in the specific period of time that you want to look into, then you should be auditing a specially selected number of them. Either way, there can be no randomness about the way you go about your auditing, as that will not get you any of the answers that you want or are looking for. If you’re not a professional auditor yourself, then, regardless of your knowledge about the world of healthcare, chances are, you won’t be able to perform an in-depth audit of your medical claims. Fear not, however, because there are services out there that are well versed in the art of conducting a medical claims audit that is both actionable and thorough, and you should have no qualms in turning to them for assistance. Doing so could make or break your potential to save yourself from overpaying on your insurances and other outgoing payments. The best way to determine what needs improvement is to run an audit. By doing so, you can save both time and money. While it may not be the most stimulating of tasks, it is necessary if you want to protect yourself against overpaying. PrevAre You Looking for a Home Loan? Don’t Apply Before Reading These 4 TipsNextWhat to Pay Special Mind to, When Looking for an ‘Ideal’ Candidate?